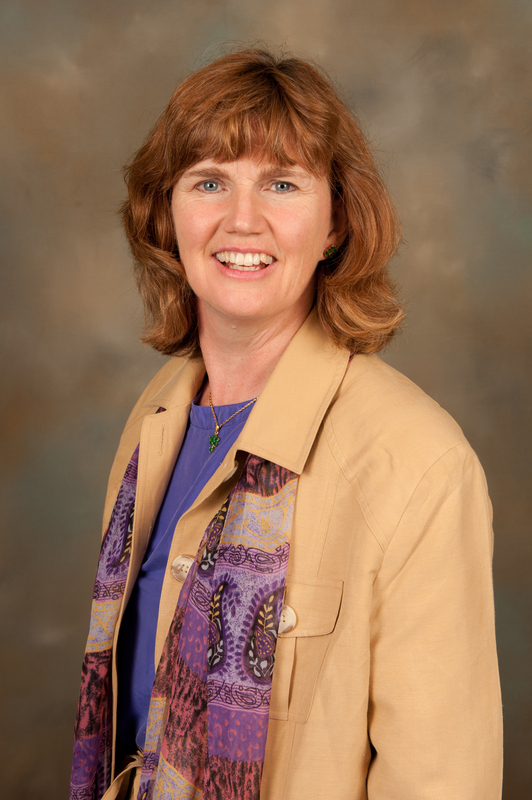 Dr. Thompson, a professor at the Natural Resources Institute at University of Manitoba (see current resumé), has recruited and formed an effective, committed and world-renowned team to succeed in the implementation of community-led programming on housing, food, education and other community needs. This community-led program have strong commitment from the employment and training directors to engage and support students at the community level. The employment and training directors, Elsie Monias at Garden Hill First Nation (GHFN) and Ernie Harper at Wasagamack First Nation (WFN), have worked in this capacity for many years and will promote the program and recruit students that match the academic requirements and support them to apply for these student placements. 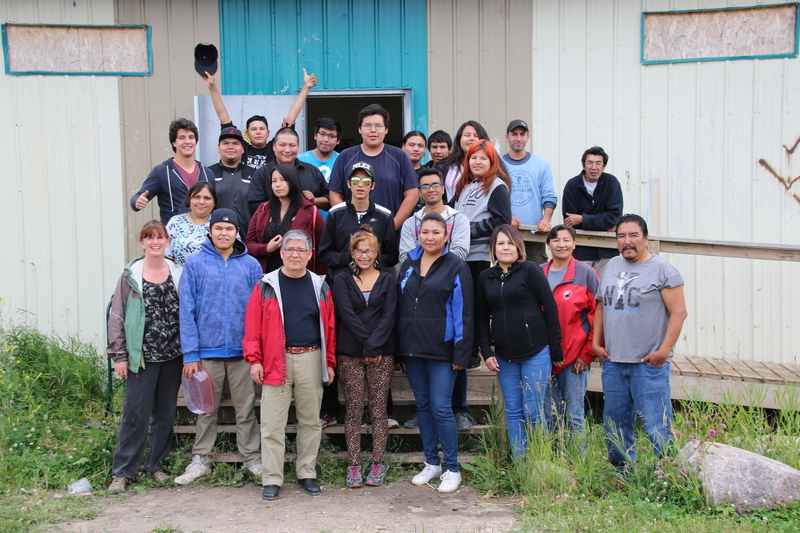 They also have experience with apprenticeships, having built three timber houses at GHFN and conducted water/sewer retrofits at WFN, with designated apprenticeship trainers. The two employment and training directors are committed to this partnership and will facilitate the application of local students for these student positions and provide payment for their project-based programming, as indicated in their letters of support. The first year is focusing on building community capacity and training local instructors. Instructors will be supported in developing their curriculum and learning tools to teach the community-led project-based course they are expert in. 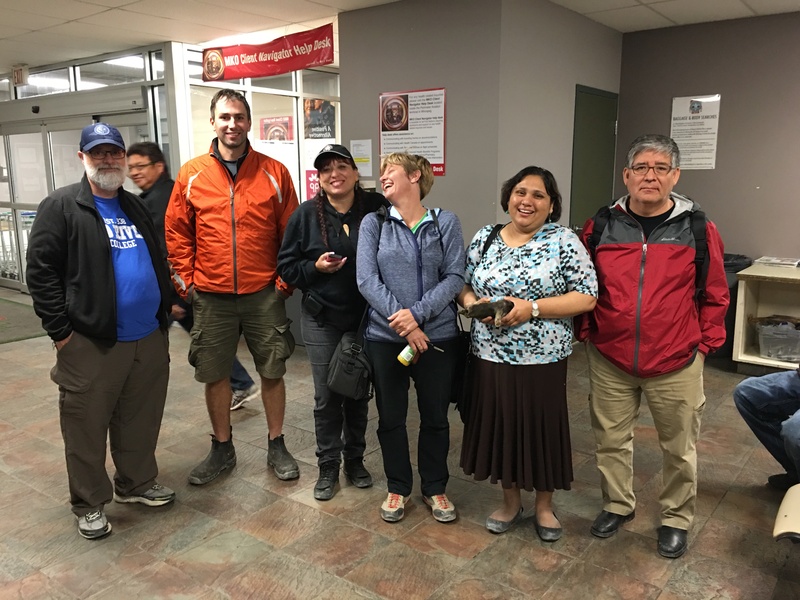 A team from colleges, and universities in Manitoba returning from Wasagamack and Garden Hill FN workshops on community–led education with community partners. At the housing design level, key experts in sustainable northern housing have expressed their commitment to this proposal. Mr. Bjornson, who built the only house that applies passive solar principles of thermal mass, orientation of windows to the sun (e.g., Passhaus standard) and net zero energy standards in Manitoba, has committed to supervise local FN students, instructors and designed trainers to design and build a sustainable house in WFN, based on his preliminary open-source design. The design work will involve local charettes to get community input and the house will be able to be modelled prior to building by Drs. Rashwan, Hill-Mallory and Kavgic (housing experts on air quality, structure and energy efficiency) to improve its design in 2017 or 2018. After building, it will be monitored to assess and improve the design to feed into the house being built in 2018 by Architect Professor Coar and students. 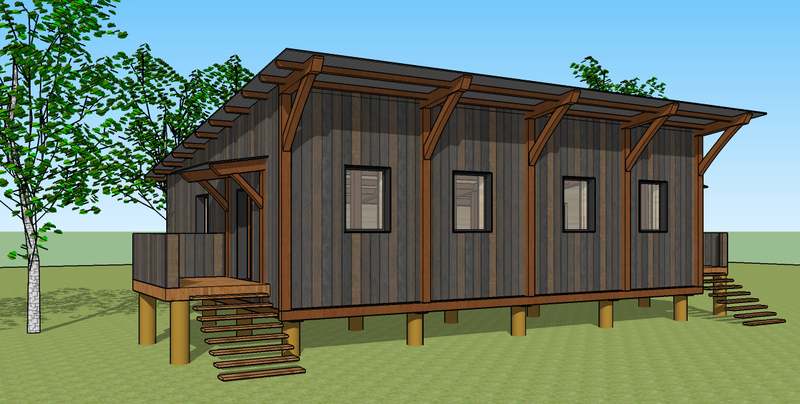 Professor Coar will work with 14 graduate UoM students and 15 FN local students to teach sustainable design and building by designing and building a house in GHFN. These experts will work alongside the local instructors the first two years to pass on sustainable housing design knowledge. Employment training partners (Elsie Monias, Miranda McPherson, Jefferson) with college, university and social enterprise partners meeting in summer 2016 with young people wanting education and training in their community. Drs. Deer, Olsen Harper, Martin, Quarter, Petrella, and Thompson, will examine pedagogical strategies and evaluate the impact at the student and community level on self-determination and Mino Bimaadziwin. Drs. Olsen-Harper, Petrella, Harms, Wilder, Settee and Thompson will undertake a policies & programs review regarding FN housing, food and post-secondary education. Drs. Bonnycastle, Schiff, Thompson & Olsen Harper with students will review housing and homelessness on reserves including the experience of housing insecurity in GHFN and WFN and conduct homelessness/housing insecurity prevalence count community-led housing assessment kit will be developed (Drs. Schiff, Olsen Harper & Thompson). Drs. Rashwan, Coar, Hill-Mallory, Ballard and Kavgic with Bjornson and Loney will study housing design for sustainability and monitor housing. Drs. Settee, Shukla, Singh, Harms, Ballard and Petrella will study Indigenous food systems approaches to pedagogy and their impacts. 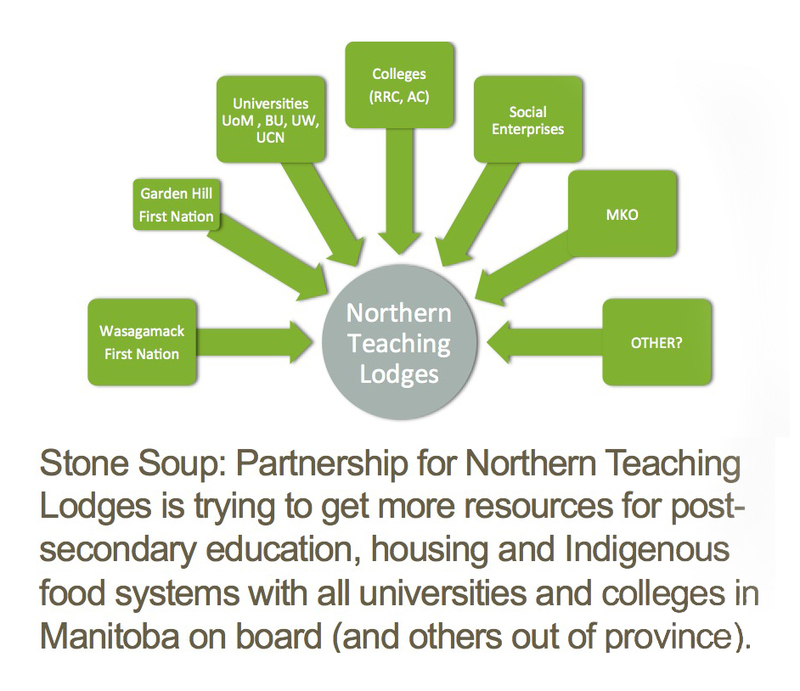 All major public universities and colleges in Manitoba are committed to working together with Dr. Thompson, WFN and GHFN on partnering to create projects’ based education on housing and food. This research is recognized as a first step to implement the Collaborative Indigenous Education Blueprint, which most Manitoba Universities and Colleges signed at the University of Manitoba (UoM) in December 2015 to advance Indigenous education and reconciliation, by: “Engaging with Indigenous peoples in respectful and reciprocal relationships to realize the right to self-determination, and to advance reconciliation, language and culture through education, research and skill development” (UoM, 2015, p. 1). Advancing indigenous scholarship is a tenet of UoM’s new strategic plan. Meeting with Wasagamack Chief and council and elders by college, university and social enterprise partners to discuss community-led programs in Wasagamack First Nation in 2016. Researching self-determination and Mino Bimaadiziwin in a way that involves community employment training programs and new educational programs is regarded as a culturally sensitive and innovative way to address the poor state of housing, food access and education in northern First Nations. These two communities have tried to advance in housing and food but, without the engagement of universities, colleges and social enterprises, failed to get official accreditation for the trainees and their efforts were not sustainable. This partnership adds these missing pieces by bringing in colleges, universities and social enterprises, to resources, expertise and educational aspects. This proposal will add value by honouring Indigenous and Western ways of knowing to build capacity and sustainability at the community level. New ways of doing things are required. 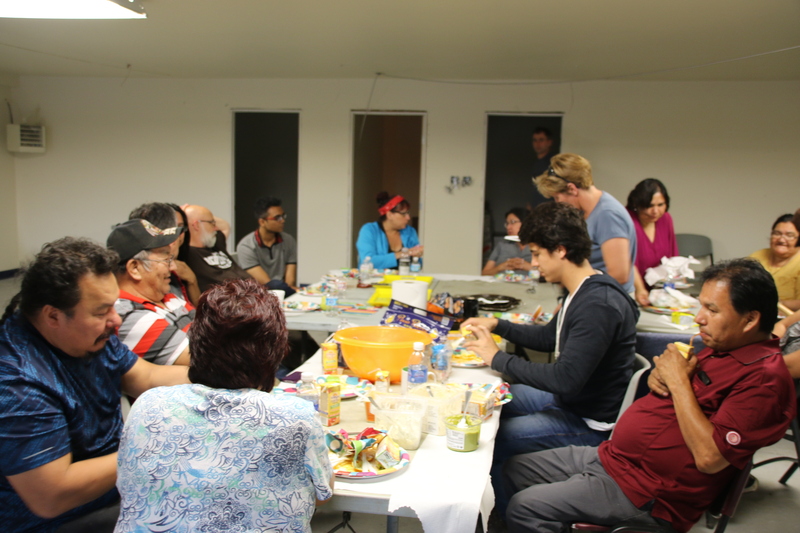 In particular, participatory action research is required to co-create knowledge and generate sustainable solutions to relevant topics, such as northern sustainable housing and Indigenous food systems. For example, by certifying local experts in adult education, culturally-appropriate learning materials and projects in their area of expertise will result that effectively teaches highly qualified personnel in a way that is sustainable. The housing design and learning materials developed from this research will be open-source to allow maximum transfer and take-up of these programs in other FN communities. 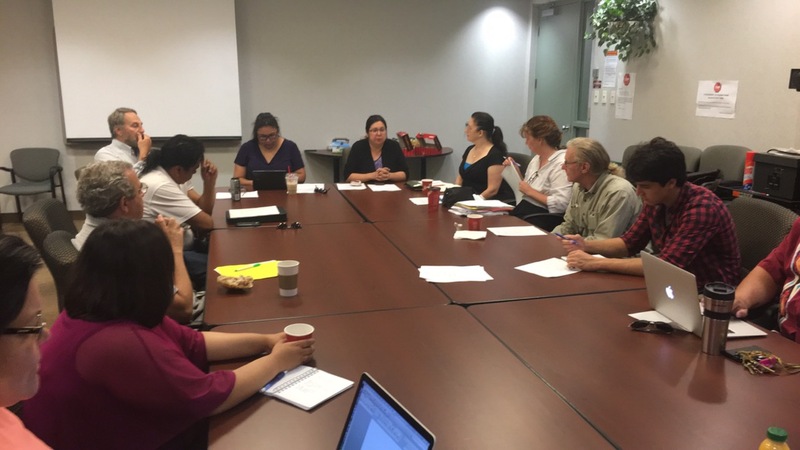 Meeting with Wasagamack Community youth, elders and council for 2 day workshop in Summer 2016 by college, university and social enterprise partners. Memoranda of Understanding between communities & partners will ensure communities’ priorities are respected while allowing the partners to be accountable and publish research after review by participating communities. Research will match needs as identified by community priorities and adhere to OCAP principles. Ethics protocols will be developed with the community to which all researchers must comply. Key community members will be invited to serve as co-authors on publications. 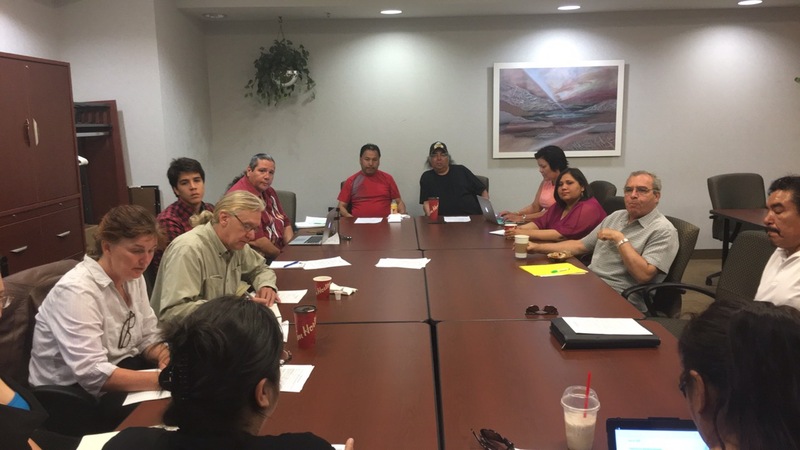 Meetings in fall of 2015 to summer 2016 regarding housing education and partnership, with Wasagamack First Nation and Garden Hill First Nation chief and council and employment training directors as well as college and social enterprises. The overall goal is to research the sustainability of the built, social and natural environment considered a two- eyed seeing approach – using one eye to see the strengths of Indigenous knowledges and the other for western ways of knowing. Through both a western scientific lens and research of Indigenous knowledge we resolve to research not only the problems but also the solutions using two-eyed seeing partnering with Garden Hill First Nation (FN) and Wasagamack FN as well as other remote, fly-in communities on the east-side. Working in partnership with the community we will identify culturally appropriate solutions. Second day of two-day workshop with Wasagamack FN, including chief and council with partners from RRC, UB, AC, UoM for CFI and SSHRC in 2016. We will assess the sustainable livelihood assets and identify the needs in the communities, e.g., renovating and building healthy and energy efficient houses on reserve, water quality, fisheries, access to natural resources, growing food and starting social enterprises. This research will seek solutions and trial housing designs and programs to meet these needs. Each intervention will have a research component involving students, researchers and local people. We will work in partnership with Garden Hill FN, Wasagamack FN, Sundial Building Performance Inc., AKI Energy, most public universities and colleges in Manitoba, Meechim Farm and other social enterprises to develop a self-determined sustainable model, that we can scale up from a community-level to a regional-level, considering the social as well as the technical aspects of community development.